I couldn’t help overhearing the conversation between two ladies, in their eighties, sitting at the next table to me at Costa Coffee as I was trying to do some marking. It was much more riveting than the printed words in front of me. One was regaling to the other her immense pleasure at watching the last episode of the Great British Bake-off. The other had not watched it but listened intensly. Her friend nodded with interest. 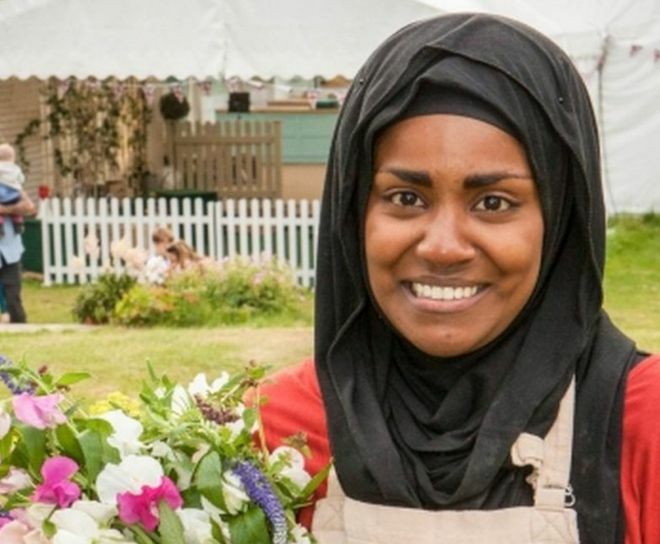 Nadiya’s showstopper in the final was to bake a British wedding cake for the one her and her husband never had at their wedding. It was a lemon drizzle cake (a classic British favorite) draped in some of the jewelry she wore at her wedding and wrapped with some of her sari dress. She joined her britishness with her culture. Perfect fusion. A striking factoid about what it means to be British is that more people watched The Great British Bake Off final than voted for the Conservative Party in the last general election in the UK. Well over 14 million viewers watched it live (while many more watched it later on iPlayer). That speaks volumes.